Why not treat Mum to Breakfast, Lunch or Dinner this Mothers Day. Early Bird Dining Offer: Come and enjoy Lunch or Dinner at The Oak Tree Restaurant on Monday to Wednesday at extra special prices. Lunch $21.00 and Dinner $32.50. 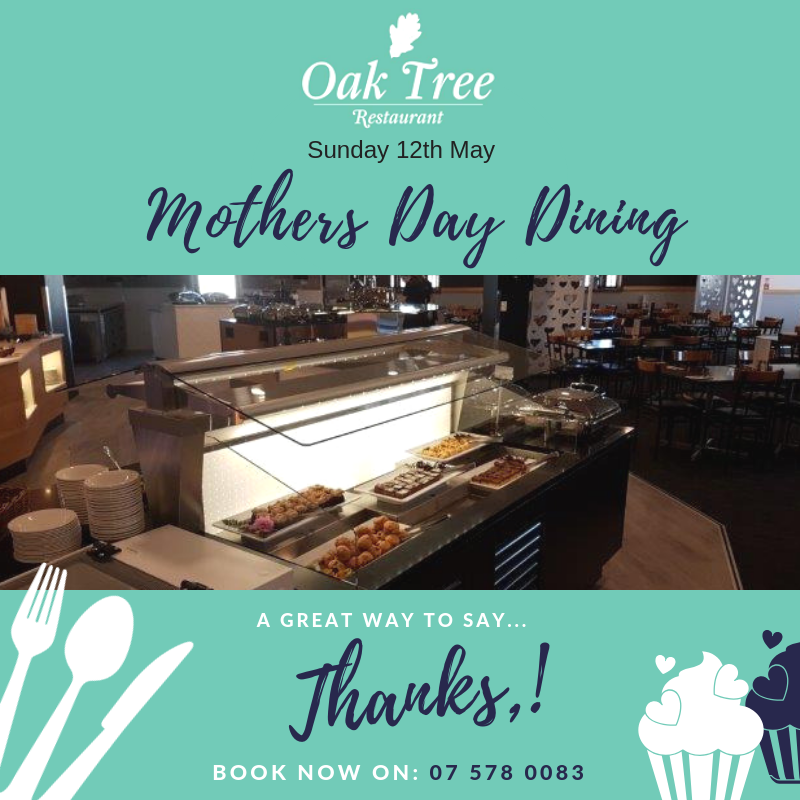 The Oak Tree Restaurant has over fifty dishes to choose from including Salads, Ethnic Dishes, Desserts & more…its a great place for the whole family to dine!